The Fantastic Store » Beyond The Box. 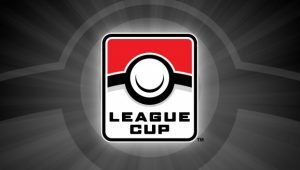 Pokemon TCG League Cup Scheduled for June 23rd!! The Fantastic Store is happy to announce the return of Pokmeon League Cup on June 23rd. Event check-in will be at 10AM with the expected end time around 7 PM. If you are looking to tune up for the North American Nationals in Columbus, looking to play test a new deck, or just want to have some fun on a Saturday, the Chantilly League Cup is the event for you! The event will be Standard Format (XY BREAKthrough to Forbidden Light) with an entry fee of $10 for Junior and Senior division and $15 for Masters division. All players are required to have decklists for this event. If you are unable to have a completed decklist upon arrival, we do have blank decklist forms available at the store. Preregistration is now open and will qualify you for special door prizes including some cool items all the way from Japan! Other door prizes will be given away based on attendance. To preregister, click here. Please direct any questions to the event to the official Facebook Page for the event. 2018 NFL Draft Underway – Come Get Your Team’s Newest Stars!! With the commencement of the 2018 NFL Draft tonight, a new era of stars will begin with the opportunity to change the fate of franchises across the league. The new additions will bring hope to those who have struggled (we’re looking at you Cleveland) and even more help the already fortunate (seriously, how to the Patriots have 4 picks in the top two rounds). Regardless of which end of the spectrum your team may lie, these draft picks will be in high demand throughout the hobby world for the upcoming year. Luckily, you can get in early by coming down to The Fantastic Store and choosing from a handful of 2018 products in stock to be ready for the price spike when the next Alvin Kamara, Kareem Hunt, Dak Prescott, Jimmy Garoppolo, or Derek Carr eventually separates himself from his peers. 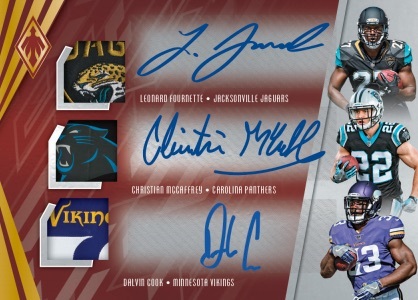 Currently, there are four products available, all containing rookie autographs of all the projected top picks including Sam Darnold, Josh Allen, Baker Mayfield, Josh Rosen, Saquon Barkley, Minkah Fitzpatrick, Nick Chubb, Derwin James and more!! 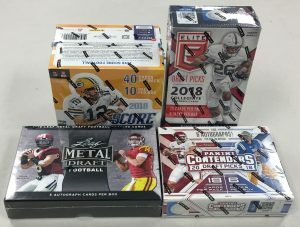 2018 Panini Contenders Draft Picks, Panini Score, Panini Elite Extra Edition Draft, and Leaf Metal Draft are affordably priced and packed with 4-6 autographs per box!! 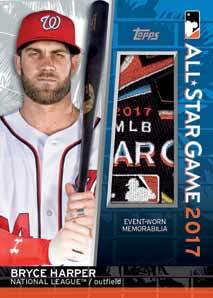 Now is the time to grab the first autographs of the future star of tomorrow, today!! The start time of Pokemon TCG Forbidden Light Prerelease event scheduled for April 21st has been changed to at 12 PM. It was previously scheduled for 1 PM. Next week’s prerelease will still start at the original scheduled time of 1 PM. National Hockey Card Day In America is Here!!!! This Saturday, March 3rd, marks this years installment of Upper Deck National Hockey Card Day in America!! Come celebrate with us that day to receive free NHCD packs as well as 10% off current Upper Deck Hockey boxes. All customers who come in the store will receive 1 free NHCD pack just for stopping in and saying hello! Customers will be eligible to receive additional NHCD packs with the purchase of qualifying Upper Deck products including the brand new Synergy and the ever popular Series 2 set featuring retro acetate rookies! Local vendor AllHockey will also be set up in the store with a great mix of singles available to purchase in addition to our normal selection of hockey singles. The Fantastic Store will be closed from December 24th through January 1st. Our last day of operation will be Saturday, December 23rd so make sure to stop by soon to get all those one of a kind gifts your loved ones will cherish forever! Or until they sell them on Ebay. We will resume normal business hours on Tuesday, January 2nd. Have a safe and Happy Holiday everyone! The big day is here and we are proud to announce our DOORBUSTER deals that are exclusive to TFS. These deals are ONLY for the retail store and not the Blowout Cards website. There is a limit of 4 boxes per product, per person, while supply lasts. Happy shopping everyone!! Please note we do not match the Blowout cards website for the duration of Black Friday weekend. All boxes in store are price-matched to the website pricing from Wednesday, November 22nd. It is that time of year again, folks! With the holidays bearing down on you like Barry Sanders in the open field, it is imperative to get a head start or all you shopping needs and what better time to do so then this weekend at TFS! Take a look below to see our best deals of the season!! Stay tuned for our DOOR BUSTERS sales which we will be announced Thursday night. – Every person receives 1 Panini Black Friday pack free just for coming into the store! DISCOUNTED SPORTS & GAMING SINGLES!! DISCOUNTED POKEMON BOOSTER BOXES AND COLLECTION BOXES!! – Pick a combination of ANY 36 booster packs from standard sets to create your own booster box for $85!! All deals are while supplies last. Please note we will not be purchasing ANY Pokemon cards on Friday or Saturday nor do we match the Blowoutcards.com website for the weekend! Crimson Invasion Pokemon TCG Pre-Release – This Saturday! 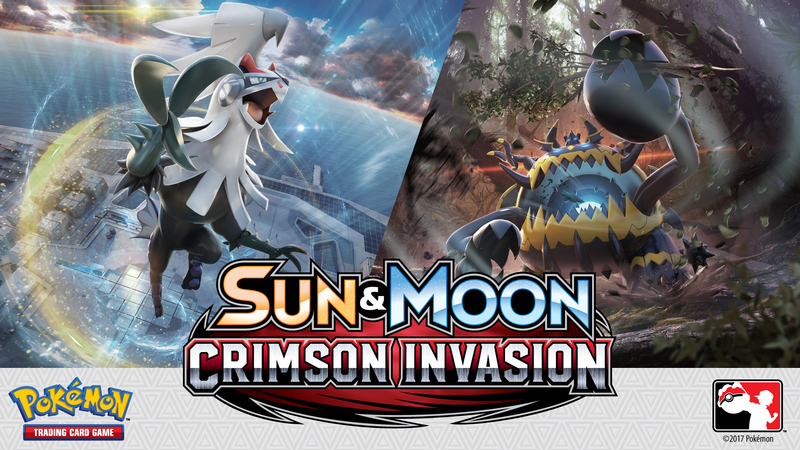 Be one of the first to get your hands on the highly-anticipated Crimson Invasion Pokemon TCG set this Saturday! Any questions? Please email va.pokemon@gmail.com and they’ll get an answer to you ASAP! We’ve got ourselves yet another exciting release schedule coming up this week – check out what’s due to make its way to The Fantastic Store this week! As per usual, please feel free to give us a call prior to coming in this week to confirm availability. 4 Boxes of Contenders Draft- 2 Big ones! 4 boxes of Contenders Draft!